I don’t know. I thought I was doing okay — dealt with a SmartBoard crisis, made good progress into the content of each of my classes. Yes, I’m only three school days in, and I’m rushing forward, like the train that I always think I’m on. And I was thinking “wow, I’m getting back in the groove of things.” However, I read Mythagon’s most recent post, and I’m more certain than ever that: I’m not. I’m not unhappy. And I’m not all pie-in-the-sky. But I did have one big goal for this year, and that involved having a lot more group work and math-talk in the classroom. So far, we haven’t had that, not in any significant way. And it’s so important early on — so you can build the norms and show “hey, this is something we do.”. I hope I can get something group-work-y happening soon. Funny true story. 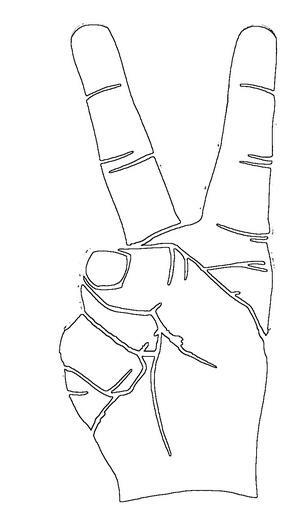 When I introduced this to one of my classes, a student said: “Do I need to put one finger up for a number one and two fingers up for a number two?” I love kids. Each time we encounter a new Greek letter, I’m going to have a kid highlight the letter we’ve learned. We’ll see how many letters we’ve picked off by the end of the year. 3. The teacher I’m teaching Algebra II with this year is new to my school. In her old school, she renamed homework “home enjoyment.” It’s silly and corny, but at least it gets you thinking about homework as something other than work. (Too many negative connotations.) Last year, I tried going with the uber-dry phrase “daily practice.” Just to remind my kids what they were working on. I couldn’t stick with it. This year, I’m going to stick with home enjoyment. In all my classes. … but then I decided I would print out a color picture of beebs, and write out the conversation for two histrionic students to act out in a script (while holding the picture of beebs over one of their faces). 5. I’m working SUPER hard to learn my kids’ names. But — if any of you know me in real life — you know this is perhaps my biggest challenge. I can barely get their names when they are in assigned seats and have name tents propped up. But I think I’m getting the hang of them. The worst is when I see one out of their natural habitat. Meaning: out of their seat. They might come into the math office. They might see me in the hallway. And they’ll start talking to me. And my brain just goes into overload. It’s embarrassing. Luckily, I preempt all awkwardness around this by telling my kids this on their first day and joking about it. They know I’m bad, and they see me trying (and often failing) in class to come up with their names. 6. My non-teaching plate is full this year. I’m taking over the Upper School’s (read: high school) Student-Faculty Judiciary Committee. I’ve been a faculty representative on it for two year, and now I’m beginning my two year tenure as the “faculty advisor” (read: grand poombah). It requires a dauntingly scary amount of work. But in my opinion, it’s the best thing about my school. Which is why I’m willing to be dedicated to it. I’m also helping create a Peer Observation Group at my school. I’m hoping it turns into a semi-formal-yet-still-informal, positive way for teachers to start migrating into other classrooms — like little bees — and collecting and cross-germinating all sorts of wonderful idea-pollen. My current feelings: I’m super excited to go look at other classrooms, while I am super anxious about anyone coming to see mine. As well as helping advise the math club. And running the New York Math League and AMC. More things will probably be added to my plate as the year goes on. UPDATE: I forgot one more thing that worked well at the start of this year that I want to be sure to do next year. My co-adviser and I emailed our homeroom two days before the start of school, promising them a pancake breakfast if they all brought the locks for their lockers on the first day of school. Usually getting 11 kids to bring in their locker locks takes a week or longer. And involves a lot of chasing kids down individually. But this year, it was awesome. THEY ALL BROUGHT THEIR LOCKS. You should teach them the “Go Greek” alphabet song. 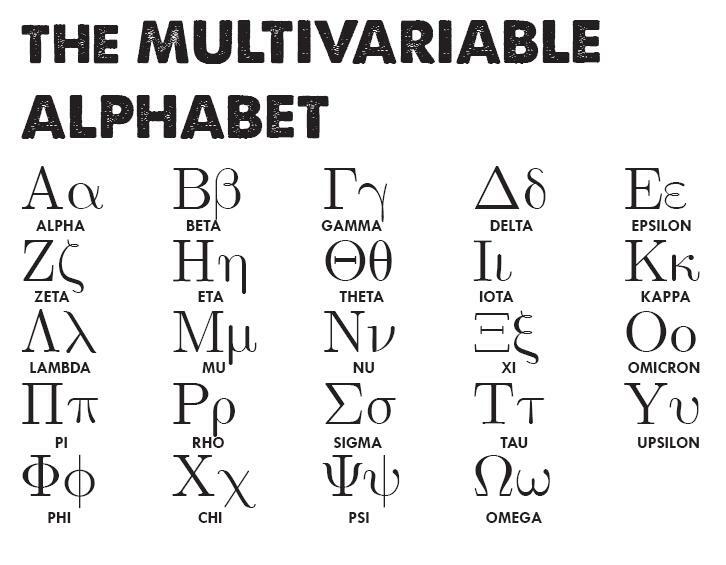 It’s GREAT fun and they’ll never forget the greek alphabet. Link? I’ve never heard of this! you may think they’re joking about the one finger versus two fingers bathroom trick, but students have told me that they’re teacher SERIOUSLY told them to do that in elementary school. gross. i don’t even like having a communal hall pass for students to use. double gross. bathroom floor gross. Thanks for the link :) That lesson was insane and crazy fun–I recommend it for all. Just remember that I have backup right now in the form of my teacher candidate so that’s making me brave as I get feedback pretty quick and ideas of how to lead the discussion. I want to keep her forever. I like the bathroom hand signal as a way to keep class flowing. We’re required to have a hall pass and I use an actual plastic bathroom sign (male/female) from office depot that I purposefully disinfect in front of them regularly. I’m Stealing your Greek sign once I figure out where to get it printed. Lastly, I’ve found myself listening to Bieber lately. I blame you. And him for having catchy pop tunes. Also, when it comes to learning names, I find the name tents are a hindrance. When the name is so close to the student it becomes too easy to see the name and not the student. If their names are somewhere else where I actually have to move my head to see them then I find I am much better at retaining their names. umm..yeah. I’m gonna agree with Elizabeth and remind you it’s a little early to start getting harsh on yourself. Also going to agree with zshiner. I’m a champ about names. I got my 140 kids by day three, only lost a few over the weekend, and had it back by Tuesday. Get rid of the tents and seating charts for names. They’re a crutch. Just get the kids doing something and constantly walk around and interact with them. And guess a lot. I tell them I’m going to make mistakes and don’t worry about it, it’s how I learn. Don’t help me unless I ask for a hint (usually first initial). The struggle is the key. HA! The bathroom incident left me with a big chuckle as a way to end my day. Thanks. @Elizabeth & @Jason: I know it’s early and it’s silly for me to be feeling this way. Rationally, I get it. And I’m not in the depths of despair — which I’m sure I’ll get to a few months in. But the vicious cycle of continual improvement has once again reared it’s ugly cycle jerk head, and I am slave to it. @Sam: I think what we’re trying to say is, ‘three days in’ does not produce a meaningful sample. Try giving yourself at least a couple of weeks. Measuring based on less than that is just neurotic. Clearly I am neurotic. But I know if I wasn’t neurotic I would be apathetic. So I’ll take it. Kid: What school team am I on? Kid: Where do I work? Kid: What’s my grade in this class? Kid: Who am I dating? Me: That tall kid in my Math 20 class. Me: Give me a hint. What’s the first letter? Me: Really? I though Derek was that guy sitting over by the pencil sharpener. Kid over by the pencil sharpener: What’s my name? Me: I think I heard the bell. Class is over. Thanks for the alphabet poster. I may defy our no posters policy and put that up on my classroom door. I have similar aims about group work this year but not sure about home enjoyment – sounds a bit dodgy to me. #3 Home enjoyment isn’t bad. That reminds me that I was in a classroom last year where the teacher was letting his students have a “celebration of knowledge”. I was excited to see it until I learned he meant “test”. I can’t do names either. It can take me 10 weeks to get 10. I’m doing well if I get one new name a week. You might want to go with a crossed-fingers gesture for the bathroom request. It is more mnemonic for most kids. When I was in high school, one of the chem teachers really hated the requests for bathroom passes, so he made some permanent ones: out of 2′ x 3′ drawing boards that had been surplussed by the drafting class. Requests for hall passes reduced down to the level where only those who really needed them asked. That reminds me of this teacher in the high school I attended who had a giant toilet seat ring spray painted neon colors as his bathroom pass. Holla! My first one is next week. Just be prepared for some low grades. Some just won’t have it down. But the point is tough love. It’s a very achievable thing, but some kids might need some individual help. Don’t lower your grading policy or make exceptions for the disorganized kid. This is to HELP that kid. This site is my breathing in, very excellent layout and perfect content material . Nice poster. For memorizing names make an mp3 recording of each student, and add a mnemonic or visual description. You can even make individual recordings for each one and keep them in a folder you drag to the player and listen to in shuffle mode. (Then if someone leaves or you get a new student you can delete only them). This is also a good mechanism for memorizing formulas that take too much algebra to derive.